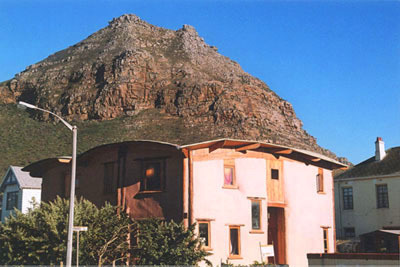 "Having spent a month in South Africa, Samhitakasha Cob House is the accommodation we would recommend. Four star cuisine with five star hospitality!! ... when you stay at the cob house, you become part of that community, if you wish... every morning we were greeted by what felt like relatives that we had not seen in years, and had missed dearly... accommodation that isn't stuffy, but South African, in its best sense!" Treat yourself to a little luxury – and the earth will thank you! PLEASE NOTE WE ARE OPEN ONCE MORE, AS A UNIQUE SELF-CATERING ESTABLISHMENT. 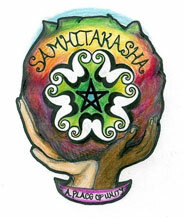 Come and enjoy the "Chic Shack" at Samhitakasha! Copyright © 2018. Design by GONZALO. // This Page Is Valid XHTML 1.0 Transitional!